Tokio Marine may at last be learning some valuable lessons about value destruction. The 38 percent premium the Japanese insurer is paying as part of its $7.5 billion purchase of U.S. rival HCC Insurance is only half as absurd as in its two previous stateside deals. Those extravagant forays, though, should give Tokio Marine scope to cut costs – perhaps even enough to make a deal stack up for a change. True, finding ways to reduce expenses after takeovers appears to be pretty far down the list of priorities for Tokio Marine executives. They don’t come up in the presentation published on Wednesday – just as they were absent when the company paid an almost 80 percent premium for Delphi Financial in 2011 and Philadelphia Consolidated a few years before that. There’s more emphasis on how HCC will increase the share of Tokio Marine’s net income from outside of Japan to 46 percent – the same spurious metric highlighted in the Delphi deal. The insurer run by Tsuyoshi Nagano also underlined how this latest U.S. acquisition should boost return on equity by 1.5 percentage points. That sounds appealing, but Tokio’s ROE for the financial year that ended in March was an unimpressive 7.8 percent. The lack of cost synergies in Tokio’s first stateside swoop, for Philadelphia Consolidated in 2008, was not surprising. That provided a toehold in the country, but at least some should have been possible from Delphi – though nowhere near enough to justify the exorbitant premium. Nagano should, though, be able to find some from folding HCC into his existing platform. Excising 15 percent of the target’s $2 billion of costs, using last year’s numbers, would be worth $2 billion to shareholders, once taxed and capitalized. That would just about cover the premium. It wouldn’t excuse Tokio’s earlier profligacy, but a modicum of discipline is better late than never. 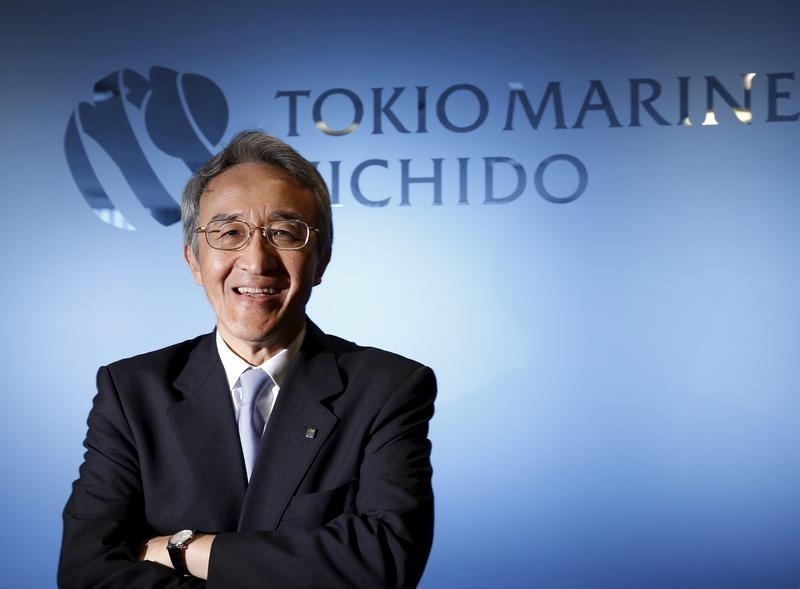 Tokio Marine announced on June 10 that it has agreed to buy U.S. specialty insurer HCC Insurance Holdings for $7.5 billion. The price represents a 38 percent premium to HCC’s closing price on June 9, a 36 percent premium to HCC’s average share price over the past month and values the company at 1.9 times its book value at the end of the first quarter. Tokio Marine intends to finance the acquisition with cash on hand and new debt.